Amazon’s Kindle and Barnes & Noble’s Nook use electronic paper technology developed by E Ink that reduces glare, so that the text looks more like a printed book. Apple’s iPad will feature a touch-screen LCD display that is better for other iPad functions like gaming and video, but could have a higher level of glare. So when buying screen protectors, look at anti-glare protection and scratch resistance, depending on the kind of screen you have. I’ve always liked Boxwave’s ClearTouch screen protectors, and now the company is offering screen guards for all major brands of e-book readers on its Web site for between $10 and $30. You may be able to find cheaper screen guards on sites like Amazon, with prices ranging from under $1 to around $10. But not all screen protectors are good, so make sure you read product reviews. M-Edge has plastered New York City subways with ads skillfully describing what its e-book accessories can do. 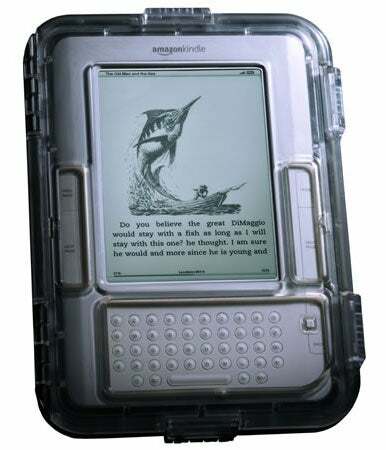 One such ad depicts Amazon’s Kindle submerged in water with a plastic hard cover to protect it. The product, called the Guardian Case, has a watertight seal that protects the Kindle up to 1 meter deep underwater. The case covers the Kindle and comes with sealed-off navigation buttons and a keyboard, which allows users to read e-books underwater without losing functionality. The price wasn’t available and the product will become available in spring 2010, the company says on its Web site. The M-Edge store also has a number of other cases made from materials such as leather and neoprene that provide different levels of protection for devices like the iPad, Nook and Sony’s eReader. Boxwave also provides cases for the Kindle, while cases for Nook can be found on its accessories Web site. The iPad is more than just an e-book reader—it is a gaming device, video player and Internet device, so it has other accessories that enable the advanced functionality. 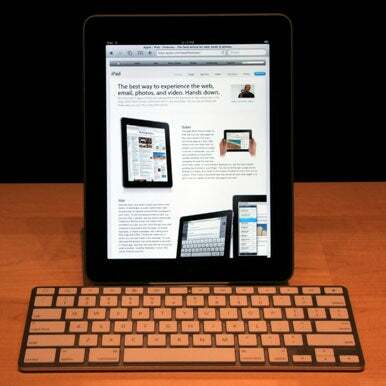 Apple plans to ship an attachable keyboard so users can type long documents, and it will come with a dock so that the iPad can function as a monitor. The company will also offer accessories including a case, camera connection kit and USB power adapter. Pricing information wasn’t immediately available, but further information about these accessories can be found on Apple’s Web site.